With two very active and growing little boys in my house, we go through a large amount of food a week. In an effort to save my budget, I try to make as many dishes as I can which can be stretched into multiple meals. Additionally, I love finding healthier variations of common favorite recipes, such as fried chicken or meatloaf. 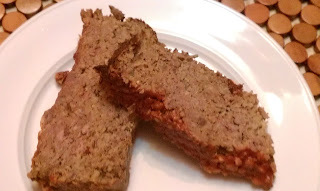 Meatloaf is a family favorite and is great to use leftovers for sandwiches. Recently, the august issue of All You magazine had a recipe for Smoky Chipotle Meat Loaf, utilizing oats, which looked like a healthier alternative to my traditional meat loaf recipes. This recipe has 12 ingredients and takes approximately an hour and 15 minutes to prep and cook. I was able to find all the ingredients at my local grocery store, without any problems. I did make a few modifications to the original recipe. First, I did not seed my chipotle chilies, I just took them out of the can as is; I don't find the seeds in the chilies to be spicy enough to warrant this extra step. Additionally, I ground my own beef from chuck roast, which I highly recommend, the taste is so much better. Finally, I have a very particular husband when it comes to ketchup, he will only eat Heinz, so that it what I used for this recipe. My husband and I loved the smoky undertones from the adobo sauce and chilies. This recipe is very easy to follow and takes little effort to prepare. The one thing that I did notice is that the texture is different than a traditional meatloaf due to the oats. It has a grittier texture, so don't be surprised. If your looking for a way to incorporate more whole grains into your diet, this recipe is a great way to do so. 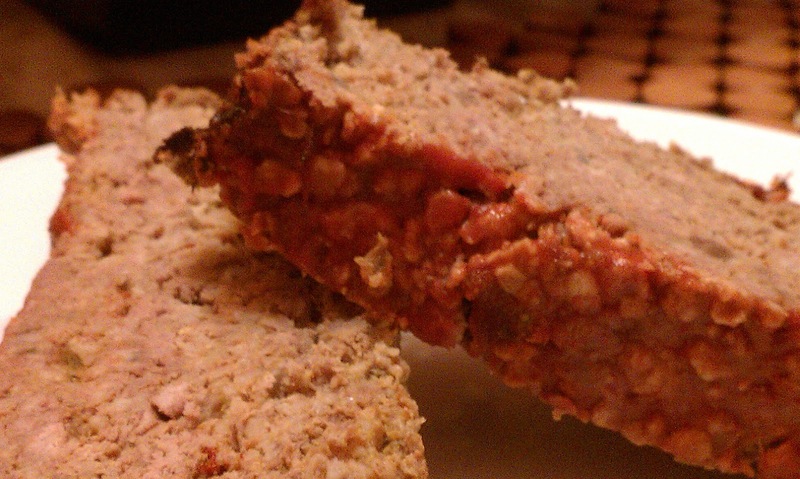 For the recipe go to All You Smoky Chipotle Meat Loaf.